← *newly edited: Who’s the Lucky Commenter??? Well…things have been pretty hectic around here the last week or so. We’ve been full in the swing of getting packed and ready to move, finalizing our home purchase, getting the girlies all registered and ready for school, prepping for a garage sale this weekend, completing a new “secret” 😉 project on the looms, baby sitting my great-nephew, and unfortunately…spider hunting. To get that bit of nastiness off your mind…I thought you’d like a little baby cuteness to start your Friday off right, lol! My little nephew Blake is just a doll…I love his personality! 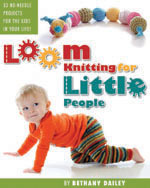 Here’s a pic that proves that knitting looms aren’t just for adults, lol! …and a sweet little dancin’ video. Here he is with his mama, Brette…he can’t walk, but he can definitely boogie! This entry was posted in Family Fun, Kids, Life, Loom Knitting, School, Spiders, Spooky Things. Bookmark the permalink. Oooh, yuck on the spider :p I don’t think I’m as nice as you. That thing would be inside my vacuum by now. Wow, you let it go too. My DH killed ours. It was a huge orb spider and caught so many bugs over our BBQ and he said it was about to lay eggs so he killed it 😦 It did such a great job catching bugs I hated to see it go but it grossed me out. You did such a great video, save it for Halloween, it is fantastic. You are so talented. That huge spider is probably a Fishing Spider. I found one in our shower, too. I probably should have asked where you live–when we lived in the central US we found a truly HUGE spider in the shower and found it to be a fishing spider. They can actually catch minnows!